Women are a majority, not a minority. However, many of us work in a male-dominated environment. Rising through the ranks of your organization can often be a difficult, daunting, and even lonely experience. How do you lead and manage in your organization? What makes others want to follow you and promote you? How do you enhance your ability to lead through transition and during challenging moments? Barb will share her experience in both the military as well as in industry and provide tips on enduring leadership. Barbara Fast Major General (U.S. Army, Retired) Barbara Fast leads the Army & Defense Intelligence Business Unit within CGI Federal, a wholly-owned subsidiary of CGI Group, Inc. She retired as a U.S. Army intelligence officer following 32 years of service. Major General Barbara Fast (U.S. Army, Retired) is a Senior Vice President at CGI and leads the company’s Army & Defense Intelligence Business Unit. MG Fast joined CGI in 2011 to lead the company’s mission support work for U.S. Army operations and intelligence clients, including the U.S. Army Training & Doctrine Command, U.S. Army Forces Command, U.S. Army Intelligence & Security Command, U.S. Army Network Enterprise Technology Command, the U.S. Army Reserve Command, as well as the Defense Intelligence agencies. She is also responsible for CGI’s cyber and biometrics capability. Prior to joining CGI, MG Fast was the vice president of Cyber and Information Solutions for Intelligence and Security Systems (I&SS), a division of Network and Space Systems, The Boeing Company. In this role, she led Boeing’s efforts in support of the U.S. government, commercial, and international needs, to include fostering collaboration and information sharing across organizations securing their networks and data. Prior to Boeing, she served on active duty with the U.S. Army, retiring after 32 years of service. She held a variety of command and staff positions in the U.S. and overseas, to include a combat tour in Iraq. She received numerous U.S. and foreign awards and decorations, including the Defense Superior Service Medal with one Oak Leaf Cluster, Legion of Merit, and Bronze Star Medal. She holds a Master of Science degree in business administration from Boston University, a Bachelor of Science degree in education (German, Spanish) from the University of Missouri, and an honorary Doctorate of Law degree from Central Missouri State University. She is also a graduate of the U.S. Army War College, the Armed Forces Staff College, and the Military Intelligence Officer Basic and Advanced Courses. 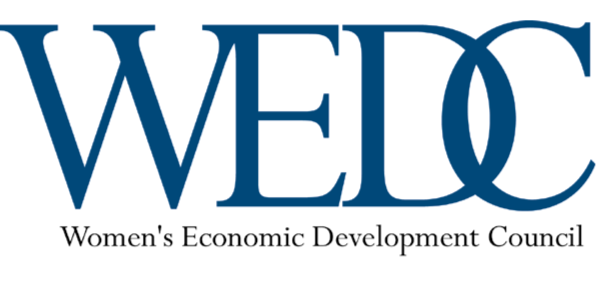 MEMBERS OF the Tennessee Valley Chapter of WOMEN IN DEFENSE are also invited to attend this luncheon as the guests of WEDC. Beth Brooks at tcbrooks@bellsouth.net; . Don't forget to register by Monday September 9th by Noon! !